I discovered the concept of ‘hygge’ while spending a snowy two days lodging in a gorgeous wood cabin in Huntsville. My boyfriend stoked the fire, I light some candles and popped a bottle of wine, and we played cards by the fire in our Roots sweatpants. How very Canadian, eh? This is hygge. I highly encourage all Canadians to get a little hygge. Our winters are cold and dark, and I’m telling you that this is EXACTLY what you need. So what’s this word that we don’t know how to pronounce? It’s pronounced ‘who-gah,’ for the record and it’s essentially ‘comfy & cozy’ and a collection of things that bring you happiness. It originated in Denmark and encompasses all things, from homes to habits, that give you that warm feeling of contentment all throughout your body. It’s drinking hot chocolate after playing in the snow, wearing an oversized sweater with the comfiest, most unattractive pants you own, taking a bath with a luxurious bath bomb, playing board games and making puzzles with your lovie, opting for a pastry instead of oatmeal on a cold, winter’s morning. It’s the simple things in life that are familiar and comforting but that still somehow manage to leave a fond impression in your memory. 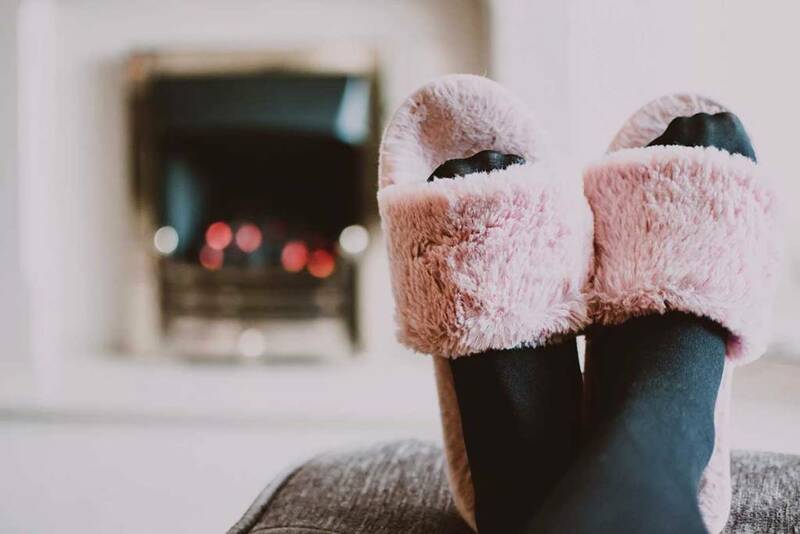 There are plenty of ways to create hygge but I will go through the main ‘requirements’ of hygge so that you can start practicing the Danish art of happiness in your own life. It’s important to remember that hygge is essentially a feeling involving all the senses. Comfort: Think warmth, soft textures throughout your home and clothes that you can eat a lot in. Companionship: Sharing meals with one another and close intimate gatherings. Relaxation: Unhurried enjoyment such as board games with family, a leisurely walk, reading by the fire, etc. 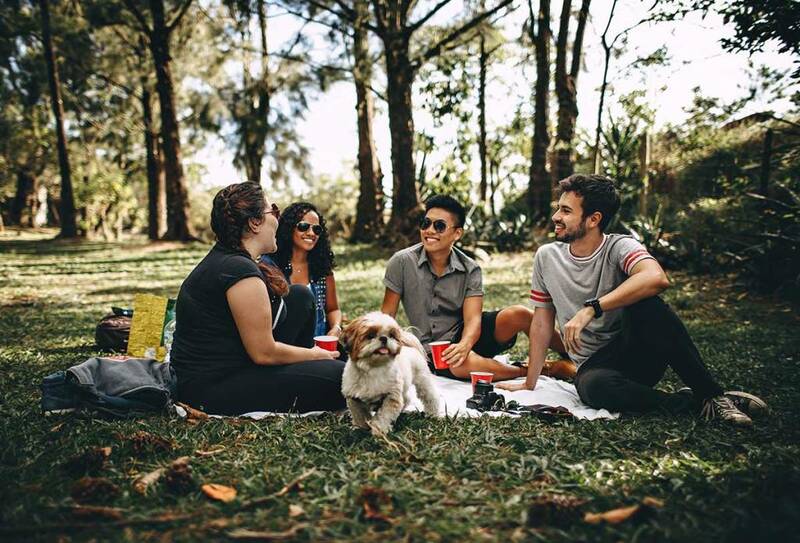 Connecting to Nature: Cooking with fresh ingredients from your garden or the farmer’s market, a rustic live-edge dining room table, and freshly cut flowers are just some hygge habits. Simplicity: This is the ability to just be present in the moment. Enjoying your coffee on the front porch as the sun rises or eating a piece of decadent chocolate cake without thinking about the calories. This is key! Forget the harsh overhead lighting and trade it in for several warmly light lamps spread around the room. The more warm lighting you have throughout your home, the more cozy it will feel. Candles are also a great addition for that added glow. Did you know that Denmark burns more candles than any other European country? If you already have the candles light, you’re half way there. But if not, bake some sugar cookies to fill the air with the comforting scent of vanilla and sugar or mull some wine on the stove for a wonderfully inviting scent and a delicious treat for you! If you were to walk into a room in a Dane’s home you would likely find a space that is well-balanced- minimalist but not bare and cold. The tones would be lighter neutral shades and the materials would be natural and earthy such as wood, wool, linen, and clay. Have you ever experienced the pleasant feeling of running your fingers across an old wooden table? That’s the hygge magic. It’s important to remember that the tactile sensations are just as important, if not more important than the aesthetics in creating a hygge home. Keep an abundance of soft pillows and a heap of blankets in your living spaces, furnish your floors with rugs and your bookshelves with candles and your favourite books, hang artwork on your walls, and invest in ceramic dishes that are varied in texture and pleasing to the fingertips. Turn on the fireplace to warm the space in the winter and open the windows to refresh your home in the summer months. There are countless ways to experience hygge at anytime during the year. 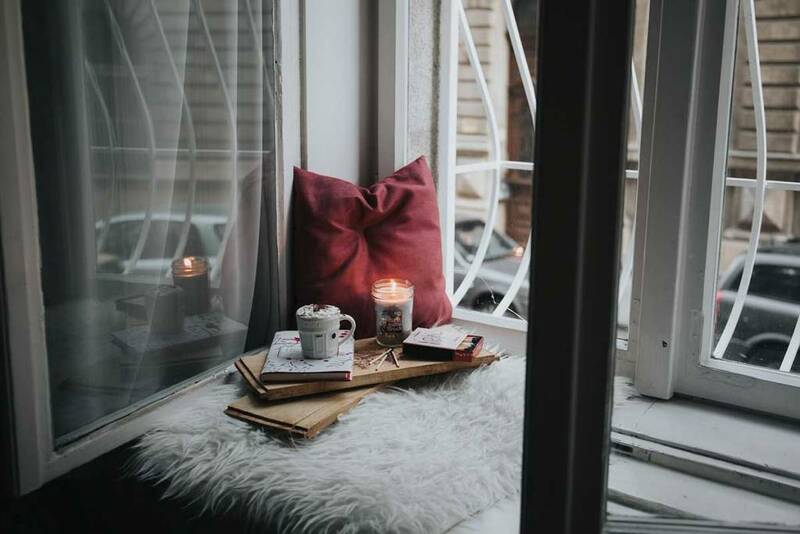 Remember that hygge is a feeling of well-being experienced when you’re present and savouring life’s simple pleasures. To incorporate more hygge into your life start with your home where the Danes believe hygge is present the most!